At Agency Ten22, most of our writing comes in the form of healthcare IT website copy, bylined articles, speaker submissions, press releases, industry blogs and guest columns. So far in 2017 our team has collectively penned over 300 works of literary art for our clients and their healthcare provider customers. Potential clients always ask the same question. What’s the secret to Ten22’s placement success and writing productivity? The answer: decades of editorial relationships combined with experienced healthcare writers who know how to break the block. 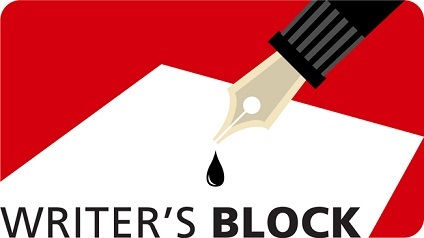 In this month’s blog, our writing team shares six powerful writer’s block busters. So grab a cape and become a healthcare writing superhero! Before diving into any major writing assignment, I take ten minutes and go for a walk. Nature spurs my creativity and opens my mind to new ideas. Not to mention my two dogs love the neighborhood jaunt! During my walk, I think deeply about the topic and needs of the intended audience. Every article, column, speaking session and press release we write helps healthcare professionals do their jobs better. It’s our overarching goal and the #1 requirement for most healthcare industry editors. I build the article’s theme and introductory paragraph in my mind. Once I have a creative introduction, the rest of the piece flows. For example, on this morning’s walk I decided to write about writer’s block and ask our team to share their best advice. Whenever I get stumped, I reach out to my fellow Ten22 writers. We have a very collaborative and accessible team. Figuring out a good outline and copy flow is a fun team sport. We tap on each other as sounding boards. Oftentimes, delivering a thought verbally to another person helps you push through. I’ve used brainstorming for creative thoughts and second opinions dozens of times to blast the block—always with phenomenal results. The adage there is “no visibility at point-blank range” reads true here. I often have to put distance between myself and a project to regain perspective. Changing my environment or routine helps quite a bit and reactivates my brain. Walk away and start fresh the next hour—or the next morning. Now, when I begin a new piece of writing, I tell myself, “bird by bird.” One thought, word, sentence, section, topic at a time. And I give myself permission to write the worst draft ever, and then revise, refine. I sometimes skip the introduction and write it after I’ve developed other sections. Let’s face it, healthcare IT writing gets boring. We see the same words, phrases, acronyms and industry jargon over and over. Editors hate it and readers cringe. Tom Sullivan, Editor-in-Chief, Healthcare IT News, recently published a list of buzzwords that healthcare CIOs and IT pros hate. Platform, big data, predictive analytics, population health and artificial intelligence all made Tom’s list. When faced with writing about a popular industry topic, I search outside of healthcare for inspiration. Glancing through a recent Oprah or Inc. magazine provides a plethora of catchy title and subhead ideas. I’ll take a break to read another chapter in my most recent novel or check out a few online news sites totally unrelated to the project. Surf the internet for ideas and inspiration. It works every time! As a last resort to blast writer’s block, all the Ten22 healthcare writers agree—go to chocolate. Dark chocolate is preferred. And it’s one of the best sources of antioxidants on the planet. Dark chocolate improves health, lowers heart disease. It’s the signature snack for our team. I often add a glass of red wine when writing late at night. No distractions, my favorite playlist and a snack of chocolate and wine. The combo blasts my writer’s block every time! If you need more advice on healthcare IT writing or securing healthcare industry content placements with top-tier editors, just ask the pros at Agency Ten22. Click here for a consultation.